Business Cash Advance UK is an alternative funding solution that uses your card payment machine. If your company takes card payments you could receive a business cash advance unsecured loan that is repaid as a percentage of your future receipts through your PDQ machine. This alternative short term financial product is ideal for companies that take lots of card transactions via their PDQ Machine. if your company would like financial support up to £200,000 then a business Cash Advance UK would fit the gap! PDQ Funding are one of the UK’s leading Business Cash Advance Leaders. We have supported over 1000 business with cash advances. Given this flexibility of repayment, a Merchant Cash Advance or a Business Cash Advance UK as it is sometime know is very suitable for the hospitality sector. Other business types like retail also benefit greatly from this product. The funding could be used for anything but most invest in stock, equipment or refurbishment. Those simply needing help with cashflow or trying to plug a gap with other mainstream financial solutions. This type of business cash advance is available to anyone who takes PDQ card payments. You can borrow up to a maximum cash advance of 100% of the monthly value of the card payments that you receive. The maximum advance is £200,000 for a business cash advance in the UK. It’s so simple and transparent. 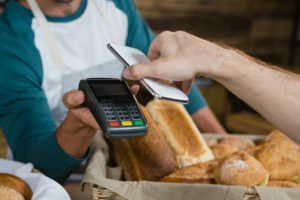 A business cash advance with no credit checks is an unsecured advance of cash based on future credit and debit card sales and is repaid via a pre-agreed percentage of your businesses card transactions from your card payment terminal. Business cash advances are paid back via a small fixed percentage of your card payment takings. For example, you might agree to pay it back say 10% of your takings. The cash advance for business is not a loan product. This is due to the product not have an APR or fixed monthly repayments. The beauty of this arrangement is that it accounts for fluctuations in your trading volumes. For example, if you have a bad trading day, you still only repay the same rate of 10% of your takings (in this example). This means that you don’t have a fixed loan repayment that you have to meet that doesn’t account for trading fluctuations. In this way, this kind of finance is ideal if you have trading fluctuations that might cause you to worry about repaying a traditional bank loan. This type of finance suits any business that regularly use PDQ transactions, such as those in retail, ecommerce or hospitality. An upfront fee, sometimes known as a factor rate, is applied to the requested sum and then the business pays back this total amount via an agreed percentage of their debit/credit card takings. These payments are usually taken back on a daily basis and, as such, follow the business performance, thus a Business Cash Advance UK is cashflow friendly. Repayment time is dependant greatly on the amount of revenue you earn – making APR comparison difficult. All repayments for the business cash advance are adapted to your cash flow – they come from a small percentage of the business card takings instead of a fixed amount each month. You need to be taking at least £5,000 in card payments each calendar month. This should also be spread over a minimum of 10 separate transactions. The business should have been taking card payments for at least 6 months. Full criteria and terms will be provided by our funder, should you wish to apply for a business cash advance UK. Need more information on business cash advance UK? The process is so simple, quick and easy. Just complete the online enquiry form. Once it has been received a cash advance specialist will contact you. They will talk though all the aspects of a business cash advance UK funding product.